Portugal is going for regular Parliamentary elections on the 4th of October. The international press wonders now and then why after five years of austerity the political landscape remains apparently unchanged, with the three parties that signed the agreement with the Troika in 2011 still harnessing more than two thirds of the votes in polls. While it is true that political upheaval seen in Spain, Italy or Greece is yet to materialise in Portugal, the outcome of this election is not as straightforward as might appear on the surface. This post provides an overview on the election method, the parties with possibilities of electing MPs and the prospects for a resulting government. 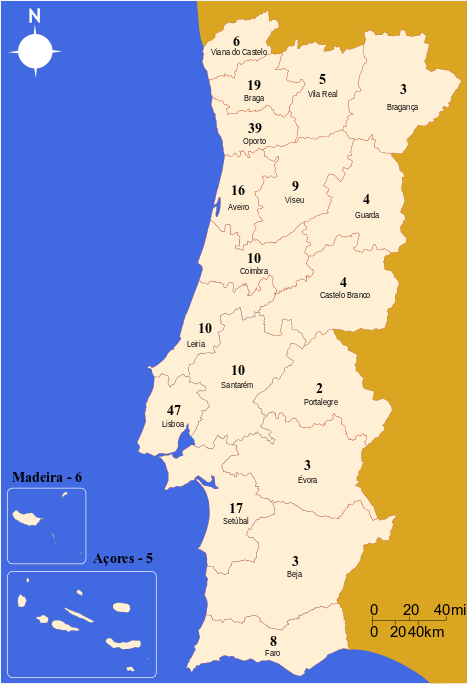 Portugal is divided into eighteen top level administrative regions (corresponding to the NUTIII divisions) called Distritos. Parliamentary elections take place at the Distrito level (hence the plural) with citizens electing the representatives of their region to Parliament. Each Distrito is assigned a number of MPs according to its population. As shown in the figure below, Lisbon and Oporto get the largest shares. The number of MPs elected at each Distrito. Source: Wikipedia. In each Distrito the number of MPs elected by each party is proportional to the share of its votes. This is determined using the D'Hondt method with closed lists. This means that each party selects the order of election of its candidates. In total the ten million Portuguese living in sovereign territory elect 226 MPs. The five million living elsewhere get to elect a mere four MPs, two for Europe and other two for the rest of the world. In these elections fourteen parties and three coalitions presented lists to at least one Distrito, resulting in a record length ballot with seventeen entries. In total seven new parties appear relative the previous elections in 2011. The sections below provide a general overview of those parties within this long list with chances of electing at least one MP. PSD and CDS form the coalition that governed Portugal since 2011. Both are traditional liberal/conservative parties, formed right after the 1974 Carnation Revolution; both rank in the EPP. Typical of modern Portuguese politics, these parties do not enforce a well defined philosophy, encompassing a wide range in the electorate spectrum. PSD has been the largest party in Portugal and possibly the most inclusive; in its ranks can be found pro-business social-democrats (the acronym PSD means exactly the same as the German SPD), liberals and christian-democrats. In recent years, however, its leadership has taken a markedly liberal stance. CDS leans more on a light christian-democrat line, but a loose and dynamic discourse has allowed it to be a junior government member various times. By far, this was the most contested government since the Revolution. It took the financial aid programme requested in 2011 as a gift, an opportunity to overhaul the country. "Going beyond the Troika" is a sound-bite that well summarises its intentions. In practice things went almost in the opposite direction, the country fell in a prolonged recession, GDP shrank 7%, 450 000 jobs were destroyed, half a million folk left the country, the trade deficit kept open, competitiveness foundered. And all to little effect, sovereign debt-to-GDP climbed from 95% to 130%, the budget deficit kept well above the Maastricht target (4.5% so far this year). In the Summer of 2013, the Finance and the Foreign Affairs ministers resigned within hours of each other. For a few days it seemed the coalition government had come to an end. However, the intervention of the President and an about face by Paulo Portas - leader of CDS and until then Foreign Affairs minister - resulted in a tighter government that would last the entire legislature. Things started changing for the government by late 2014 with the first positive economic indicators in several years. GDP stopped contracting and by early 2015 unemployment was clearly abating. Meanwhile, turmoil within the socialist party (see ahead) prevented the latter from gaining a clear advantage in polls. With SYRIZA's government capitulating at the hands of the Council, the coalition went on to the summer break tied - or even ahead - of the socialist party in polls with some 35% of votes. Leaded by the incumbent prime minister, Pedro Passos Coelho, the Portugal à Frente coalition, presents a straightforward message, underpinned on the housewife budgetary discourse - do not spend more than you earn. After four years of pain to set the house in order, the coalition now asks four more to finish its work. This is essentially the same strategy successfully employed by David Cameron in the UK. However, "going beyond the troika" is a hurdle hard to handle during the campaign. It is particularly hard to anticipate the result of the ruling coalition in the coming election. The number of undecided voters is still very large (about one fifth) and polling companies distribute these according to the results in the previous election. This is naturally inflating the projected results for the coalition. Somewhere between 30% and 36% is a possible estimate, with elected MPs between 80 and 90 (of which 1/5 should be taken by CDS candidates). The socialist party is the second largest political party in Portugal, formed during the last years of Fascism. It proposes a light social-democrat philosophy, employing ad hoc liberal policies when in power. PS leaded the Portuguese government 14 out of the last 20 years. PS met an heavy electoral defeat after the request for financial aid in 2011. It found itself in the opposition with an uncharismatic leader (António José Seguro) that was never able to counter the argument that the budget crisis was all his party's fault. Time passed by and while the government faced a wave of protests unseen in a generation, PS failed to capitalise in the polls. In the 2014 European elections PS got only 31% of votes (corresponding to 1 million voters). In the aftermath, António Costa (then mayor of Lisbon) openly challenged Seguro, but the latter hid behind the party's statutes. After months of internal fighting, Seguro finally conceded a face off, a primary election for the party's candidate to prime minister. Costa would win this primary in September becoming officially the party's leader soon after. PS immediately jumped in polls, and a victory in the 2015 election looked liked certain. However, things turned sour late November when José Sócrates, prime minister between 2005 and 2011, and socialist leader in the same period, was jailed on suspicions of corruption, tax evasion, and money laundering. Costa served as minister in Sócrates' first government and was regarded as relatively close to the latter. While political parties have largely left the ongoing investigation outside the campaign, various media have kept the issue alive with regular "leaks" on the case. José Sócrates himself has regularly spoken through the media, claiming to be the victim of a plot to prevent PS from wining the election. José Sócrates remained in prison until early September and has been in domiciliary imprisonment since then. No formal accusations have yet been filled against him. Soon after taking the party's reigns, Costa assembled a group of high profile Economists working on the party's proposals. For the first time ever in Portuguese politics, an opposition party used comprehensive macro-economics tools to design a governance programme. PS does not question Maastricht budgetary rules, but aims to reach them by alleviating the fiscal burden and stimulating internal demand. The programme was presented publicly in April and for a number of weeks the country witnessed the awkward situation of a government developing opposition tactics against an opposition party. The breather provided by the governance programme did not last long and José Sócrates remained a central figure in Portuguese politics. Throughout the summer PS burdened itself further with a series of gaffes, that even forced the retirement of most of its outdoors. At the beginning of September, polls were giving PS at best a tie with the ruling coalition. Costa defeated Passos Coelho in the first election debate, providing a new breather to the party, but on a second round a week later the prime minister left Costa in clear difficulties. Even if all goes well, PS aims at 40% of the votes at best, far from a majority. While Costa remains largely popular, the party is clearly a drag, and a defeat to the coalition is certainly not out of the cards. Anything between 80 to 100 MPs is possible for PS. The communist party is the oldest political organisation in Portugal, founded even before the Fascist regime, almost a century ago. Even though being the main opposition force during the regime, it would endure its most difficult days right after the Carnation Revolution, when in 1975 faced violent popular anger against its USSR leaning stance. Even though Portugal remained in NATO's sphere of influence, PCP survived as a rightful party in the Portuguese democracy. PCP has kept a relevant section of the electorate since the Revolution, with a permanent parliamentary group always above 10 MPs. It never abdicated of any of its political or philosophical principals, therefore never being in government. PCP remains possibly the most structured political organisation in the country with multiple thematic groups working towards comprehensive policies. Traditionally, PCP presents the most thorough and coherent governance programme to the legislative elections. Its programmes invariably rest on an economic re-orientation towards the primary and secondary sectors, with an ultimate goal of independence. PCP is the only party openly addressing long term issues such as "Peak Oil". However, for the first time since I am politically aware, PCP's programme is not clearly the strongest. The party was never effusive about the EU, and with the developments of recent years has slowly let through an increasingly Euro-sceptic message. It now advocates an outright exit from the EMU, but leaving the door open to a permanence in the EU, possibly in a different framework. PCP's electorate is mostly rooted in the senior working class; not only was it less affected by the junior work force exodus, it is actually benefiting from it. A result well over 10% is most certain, allowing for an historical parliamentary group of 20 MPs or more. For decades, PCP has presented itself to the legislative elections in a coalition with the green party (PEV), to whom it lends 1 or 2 MPs. The green party is largely irrelevant in Portuguese politics. The Partido Democrático Republicano is a one man show created last year by António Marinho e Pinto, an outspoken figure, former president of the Portuguese Bar Association. 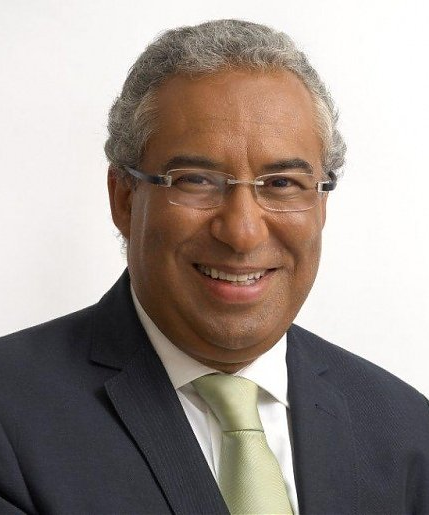 Marinho e Pinto ran last year for the European Elections with a small party (MPT), gaining over 7% of the vote. This was largely an unexpected result, since most polls did not even referenced MPT. Empowered by these results, Marinho e Pinto quit his MEP position on the very first session and went back to Portugal to form his own party. PDR claims to be a centre-left party, even though much of its discourse is easily identifiable with the right. There is an overall populist tone to the message that appeals to vast swaths of the population, disillusioned with the traditional and established parties. While it may not be easy to exactly repeat the 7% of votes harnessed last year, it is too very doubtful for PDR to get only 2%, as most polls indicate. I expect PDR to be the fourth most voted force in this election, with good chances of reaching 10 MPs. The uncertainty remains on how many MPs it can elect outside Lisbon and Oporto. Bloco de Esquerda is Portugal's SYRIZA, just 15 years ahead of time. As with its Greek counterpart, it born out of the merger of various revolutionary parties that until then had little visibility. With PS in government and flirting with liberal policies on the one hand, and the communists cantoned in their strict philosophy on the other, BE found fertile ground to grow. In the 2009 elections, BE got almost 10% of the votes, electing 16 MPs. With a relative majority, PS turned then to BE for a governing partner. However, BE was never willing to give hand of any its proposals to reach a compromise. When the rating agencies turned the heat on Portugal's expanding sovereign debt in 2011, BE rejected in Parliament the agreement struck by then prime minister José Sócrates with the Council and the Commission for an informal bond purchase by the ECB. The rejection of this agreement paved the way for the financial aid request to the Troika in the summer of that year and a right-wing coalition in government the following fall. BE saw its vote share and parliamentary group cut in half. Since then most leading personalities have either stepped down or altogether quit the party. 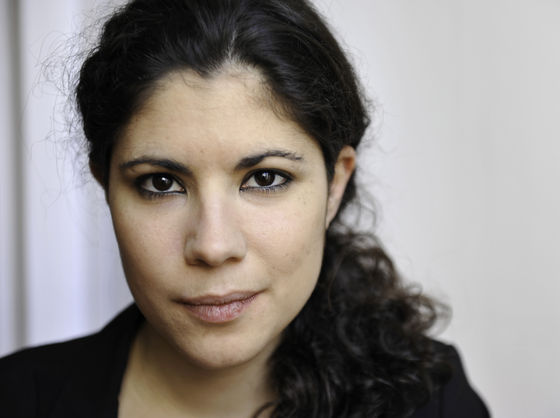 After three years of internal agony, BE finally settled down on a new leadership last year, headed by Catarina Martins. The latter has proved a cunning politician, quickly harnessing popularity. 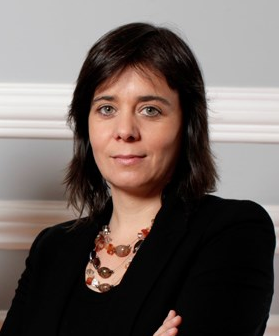 In parallel, young MP Mariana Mortágua gained national and international notoriety for her role in the parliamentary commission that investigated the collapse of the largest private bank in Portugal - BES. BE is not Eurosceptical and advocates a re-negotiation of sovereign debt, primarily on interest rates and maturities, but not excluding an outright "hair-cut". In face of the capitulation in Greece, BE now refers the need for a "plan B", in case the Council is unwilling to negotiate. If BE has been able to renew its roster and enter a new consolidation phase, the wounds open in 2011 are still there; moreover, a clear competitor is now on the race (see ahead). The record voting of 2009 is hard to repeat, electing 10 MPs this time would already be a great result for BE; a reduction from the present 8 MPs is not out of the question either. LIVRE/Tempo de Avançar is a party formed in late 2013 by historian Rui Tavares, whom in 2009 was elected to the European Parliament as an independent in BE's ticket. LIVRE boasts a vast range of philosophical principals, attempting to reach a wide electorate spectrum at the left. It clearly overlaps with BE, differing in first place in its Europeistic stance, but also with a deeper focus on Ecology. LIVRE is also openly committed to form a government, attempting to prevent PS from allying itself with the right. LIVRE proposes a novel approach in Portuguese politics, with its candidates elected in open primaries. In essence, anyone that subscribes to the party's principles can be a candidate - even those not affiliated. This system has quickly gathered a great number of personalities around the party (from the well known to the completely anonymous) that in most cases had not been active in politics heretofore. Many relevant individuals that left BE in the wake of the 2011 débâcle are now associated with LIVRE. On more practical terms, LIVRE is a proponent of the Ulysses Project, which entails a political alliance by the so called PIIGS towards an European periphery-specific economic programme. This project would pass by a debt relief treaty similar to the London Agreement of 1953. The party presented itself to the European Election of 2014, largely ignored by the mainstream media. Even though unknown to the majority of the electorate, social media helped LIVRE harnessing over 70 000 votes (2.2%), within a breadth of electing a MEP. Today polls assign at best 2% to LIVRE; with increased visibility and involvement from civil society, that is an unlikely result. LIVRE should elect at least 2 MPs in Lisbon and 1 in Oporto. People-Animals-Nature is essentially an anti-bullfight lobbying group formalised as a party in 2009. The party has slowly creped up in popular support to harness 56 000 votes in the last European election. It has a real chance of electing a MP in Lisbon this time. 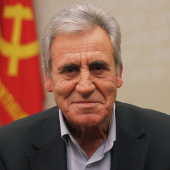 The Portuguese Workers' Communist Party is one of the oldest political forces in the country, dating well back to the Fascist regime as a clandestine splinter organisation from the communist party. It carries loads of history, with many notable personalities passing in its ranks at one time or another. 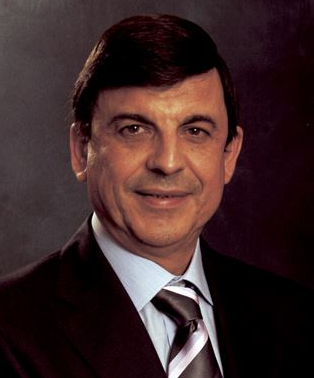 It was with this party that the former Commission president, José Manuel Barroso started his political career. PCTP follows a hard line Maoist philosophy, advocating a complete exit from the European Union, a return to a national currency and a fully autonomous economy. Nuclear power is a most important pillar of PCTP's programme, the basis for an independent energy and transport policy. The party has had relevant results throughout the past decades, in part due to its charismatic leader, António Garcia Pereira, and in part due to a well established electorate among the senior workforce. Was the D'Hondt method applied on a national basis, PCTP had elected MPs various times; however at the Distrito level it never managed to do so. With the loss of young and highly trained population, PCTP has this election possibly the best chance yet to elect a MP. The heuristic project for the Parliamentary elections result. Click for full version. Beforehand, it is important to note that Portuguese politics has entered a secular renewal process at the turn of the century. These past five years of austerity have considerably accelerated this process, with new parties consolidating positions to the left and the centre. Outright Euroscepticism or the direct questioning of the present European process are now the fodder prompting the decline of traditional parties. However, the political spectrum still remains considerably skewed to the left. In reality, various new parties formed at the right. About a decade ago a citizens movement called MMS (Movimento Mérito e Sociedade) embarked on electronic based, participatory approaches to engage the wider public in the definition of a political agenda (in some way trailing what LIVRE is trying today at the left). MMS was formalised as a party in 2008 and in 2009 presented lists to three different elections. Failing to elect a single representative, the party would fold a couple of years later. This is but one of various similar stories with start-up parties at the right. In general, markedly conservative initiatives are met with inordinate repulse from the wider Society. So far, PDR seems the only successful party (remotely) identifiable with the right to emerge after 1975. Even if more than 40 years passed over the fall of the Fascist regime, the scars it left are still salient. A certain outcome of these elections is the impossibility for the right to pass a budget for 2016 on its own. Even in the best of scenarios, the ruling coalition will be far from the 116 MPs required for a majority. It follows that the heretofore over-compliant austerity budgets are now a thing of the past. The question becomes how adamant to the Council the resulting government is willing to be. If a clear government indeed emerges out of these elections. The most straightforward result is a government supported by a new coalition between PS and CDS. Even if it does not clearly wins over the PSD+CDS coalition, PS is certain to obtain the largest parliamentary group, in theory gaining the strongest position to form a stable government. With long experience as junior party in government and ready to adapt its programme and principles, CDS is clearly the easiest partner for PS to negotiate with. Notwithstanding, together both parties need to reach the 116 MPs. As detailed above, this is not at all guaranteed. The second path is for PS to seek other parties to support a government. This will be almost impossible with PCP and a very remote hypothesis with BE. LIVRE is next, but its parliamentary group is likely to be too small to be decisive. PDR is the real wild-card, a recent party with unmarked principles might find it easier to reach government supporting compromises. A three party coalition never led a government in Portugal; even if possible, such is unlikely to be a long lasting solution. The third and final government hypothesis is a grand coalition gathering the two largest parties, PS and PSD. There are good reasons to regard this as a remote solution. The largest parties in the country together in power applying austerity measures foretell a derision without precedent of traditional politics in Portugal. Both parties have much to lose in such situation, especially PS, with the ongoing secular political renewal. On its turn, a split of PSD in two or maybe three can also become a possibility. Even in Portugal, parties do not last forever applying unpopular policies. Beyond these aspects, enabling such a government is likely to require the resignation of at least one of the present party leaders - a process unlikely to be fast. All this previous text to say that by the 5th of October a clear governing solution is an unlikely prospect. That same day the campaign for the Presidential election in December will go out on the road. This will be an unprecedented situation in Portuguese politics, with negotiations for a new government taking place while multiple presidential candidates in the field opine on what kind of government they wish to have. The outgoing President, Aníbal Cavaco Silva, might opt to pass on the embroilment to his successor by appointing a government backed by a minority of seats at Parliament. If such solution may avoid the political gridlock in the short term, it is far from guaranteeing a proper budget for 2016. 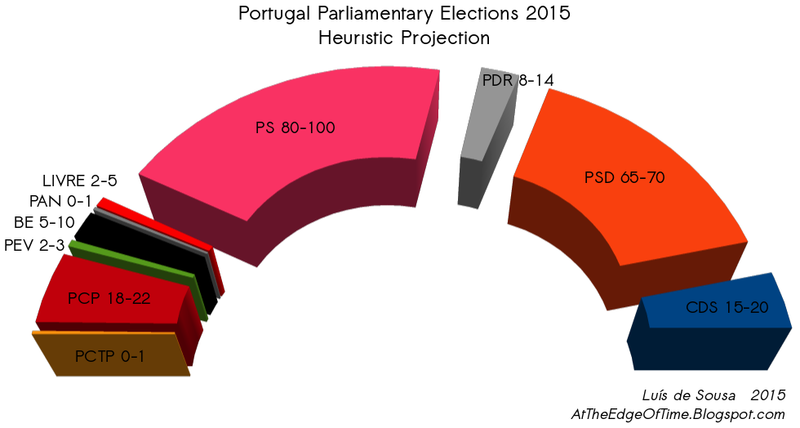 In contrast to Greece, the timings set on the political process by the Portuguese Constitution are considerably slower. For instance, the President can not dissolving the Parliament in its first and last six months in office. Therefore, if a clarifying election comes to be required, it can only take place one year from now. The ingredients are all in place for a long impasse after the 4th of October, that in the worst scenario might even result in the lack of a budget for 2016 (let alone any attempt to meet Maastricht goals or the Council demands). In such scenario, the Council will effectively lose the clout it has had so far in Portuguese politics. What might that mean for the country's ramping sovereign debt is anyone's guess. Update [27-09-2015]: most of this text was written before the official campaign went on the road. During the first week of campaign, that ends this weekend, the coalition opened up a clear gap to the socialists in polls, in some cases well in excess of 5%. However, It is still possible for PS to earn the largest number of MPs for a single party. To pass the 2016 budget the coalition still requires at least another supporting party.